Typically, automated plotter knives cut into a piece of material (paper[paper? :paper sample maker cutting machine], mylar or vinyl) that is lying on the flat surface area of the plotter. This automated-cutting is achieved because the plotter is connected to a computer, which is equipped with specialized cutting design or drawing computer software programs. These specialized computer software programs are responsible for sending the necessary cutting dimensions or designs in order to command the cutting knife to produce the correct project cutting needs. The material to be cut (usually vinyl) is either roll-fed or sheet-fed through the plotter automatically and once it reaches the flat cutting service, the cutting knife quickly makes the needed cuts before the item rolls off the flat plotter cutting surface to make room for the next item to be cut. CUTCNC[CUTCNC? :cutting machine sample maker manufacturer] offer CNC plotter,mainly used to make samples and do short run productions. 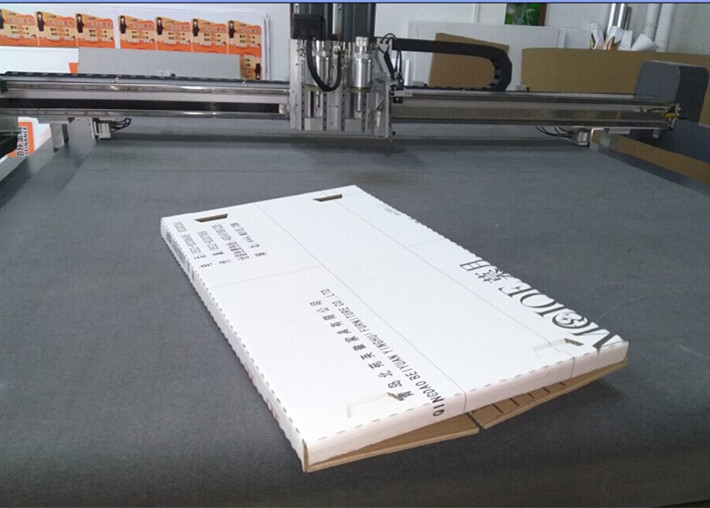 Our plotter widly used in package, garment[garment? :garment paper cutter machine], printing[printing? :printing cutting finishing solution]. etc industry. CUTCNC plotter can make process to material like cutting, half cutting, drawing, creasing. Our plotter is the best equipment to make samples.